The TM Centre of Brussels lies in the area where all the European institutions are located. In 2019, the leaders of the EU nations will come together in this place to shape the future of Europe and to find solutions for the challenges that the EU faces. The TM Centre is just a few hundred meters from the meeting hall of the leaders, and our group meditation will create even more a big wave of harmony in this environment. Come and enjoy long group programmes and beautiful Maharishi tapes in the silent, profound atmosphere of the TM Centre which is perfectly east oriented. We will also enjoy refreshing walks in the park next to the TM Center, and discover surprisingly beautiful parts of the city. 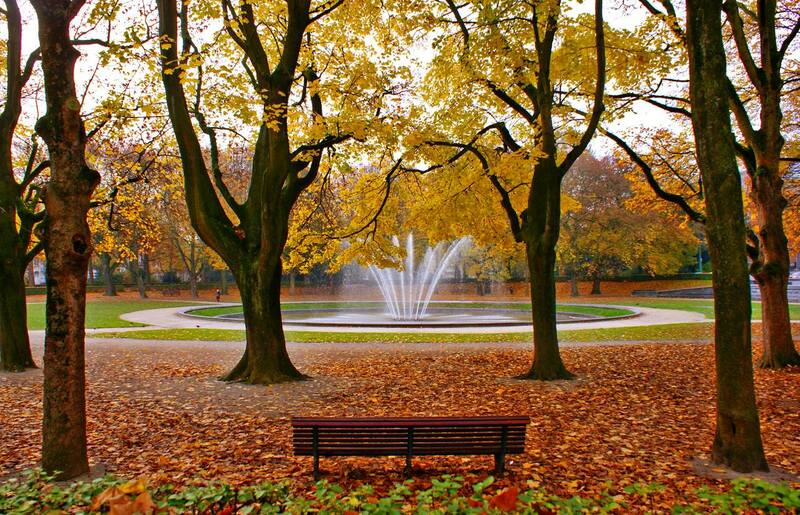 Beautiful Parc du Cinquantenaire in the fall. An ideal setting for refreshing walks next to the TM Center . 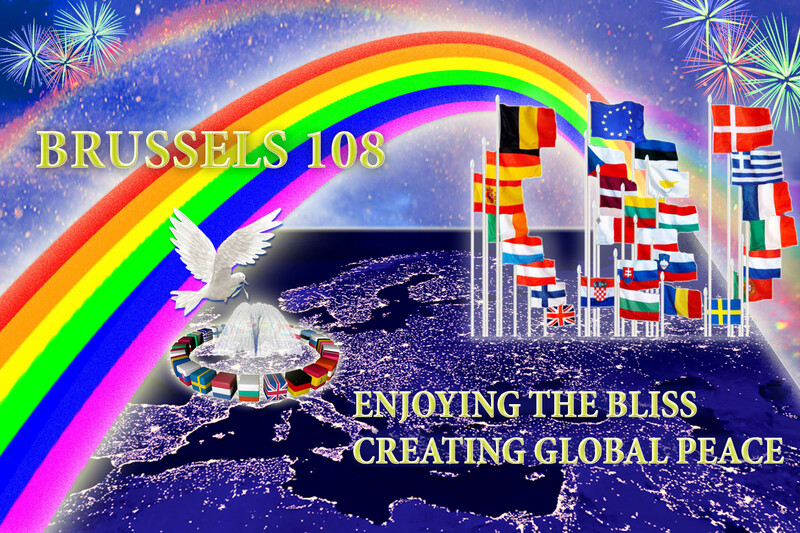 Reminder: there is an ongoing programme, called “Brussels 108” (www.brussels108.eu). So everyone is welcome to stay longer before and after the Assembly! Looking forward to seeing you soon in Brussels! Dates of the Assembly: Please see above. Address: Maharishi Invincibility Centre, Rue Archimède 60, 1000 Brussels. Meals: Lunch is taken in restaurants nearby (10-15 euro). Dinner (8 euro) can be taken at the TM Centre. The popular website www.airbnb.com gives a wide range of very reasonably priced private rooms within walking distance of the TM Centre. Prices vary from 20-30-40 euro per day, depending on the level of comfort that is desired. There are also plenty of reasonably priced hotels in our area. An easy way to find them is on www.booking.com , looking in the Brussels Region, and selecting the ‘European District’. A hotel nearby offers special discounts to our group: go to their website http://b-aparthotels.com/ select ‘Ambiorix’, and use this discount code: RF APART 14. They have 1, 2 and 3 bedroom apartments with bathrooms and kitchenette, and a possibility of sofa bed adding 15 euros to the price that will come up on the website. There are also studios (with kitchenette) and normal hotel rooms. Please consider that prices fluctuate according to the period, and also are cheaper if you book early. Travel to Brussels: Trains, buses, and car are the best way to travel to Brussels at the moment. If you want to fly, you can go to ‘Brussels International Airport’, or ‘Brussels South Airport’ in Charleroi, and there are direct shuttle bus services to downtown Brussels. Ticket prices increase closer to the time so early booking is recommended. To apply: send your email to info@brussels108.eu , mentioning your name and the country you are from. Looking forward to meet you all in Brussels soon!!! Looking forward to meet you all in Brussels!! !